Before I actually went and wandered the streets myself, I never realized how dynamic and incredible San Francisco could be. 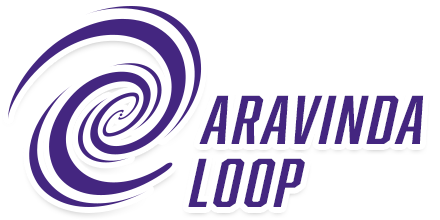 Today we get a first look at San Francisco, where I discovered a store only for Left-handers, stumbled across an awesome free magic show, felt like I had parade thrown in my honor, and more. Now, to be completely honest, I’d been here before as a kid, but I’d never had the opportunity to explore it independently. Being there as an adult obviously changed everything. And as it turned out, I’d picked just about the perfect day to begin my San Francisco explorations, and not just because it felt like a parade was thrown in my honor… but we’ll get to that. Can you eat and juggle at once? Towards the end of the pier I spotted a little shop whose uniqueness really caught my eye. They call it “Lefty’s”. And then there was the magic show. 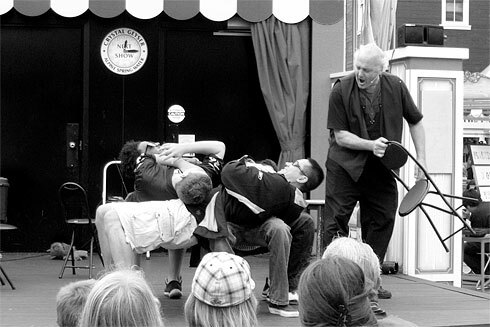 When I left the store, I noticed a man on a nearby stage performing magic and doing various other feats, as well. And not the kind of feats that make you roll your eyes, either. He was doing some rather fancy stuff, like eating and juggling simultaneously. But the bit that really stuck in my mind was an audience participation activity that I’d never seen before: he created an 8-legged human chair. To make a human chair, you start with 4 normal chairs arranged in a circle, pointing four different directions. You then get four victims to sit in the chairs, and you then pull out the first chair. After you pull out the chair, you tell that person to lie down on the person’s lap behind them. You do this with all four chairs and… well, you’ll see soon enough. I watched the magician pull the chairs out, one by one. And when it seemed as though the four guys were on the brink of utter collapse, he finally pulled the last chair out from under them. But no one fell. In fact, no one scarcely moved at all. The 8-legged human chair was supporting its own weight! The tricky part came when they wanted to get up. All of them were too afraid to get up because each knew they would start a chain reaction that would cause all of them to collapse. So, carefully, the magician told them all to grab his arm for support. They still all collapsed; but, thankfully, it was a graceful collapse onto the stage and painless compared to what it might have been without his help. Now that the magic show was over, I wandered over to the north end of the pier and looked across the bay. It seems that my timing was perfect because a magnificent white sailboat was passing near the pier at that moment. Only today did I realize, while post-processing these photos, that I’d actually taken a picture clear enough to make out the name of this sailboat. In the closest photo (which is in the accompanying gallery), you can clearly make out the name “Naniloa” (which means “most beautiful” in Hawaiian) inscribed on the side. 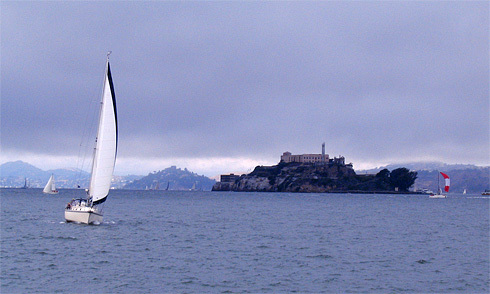 And behind this beautiful sailboat was something that was quite the opposite: Alcatraz Island, still looming like a mysterious shadow over San Francisco bay even after all of these years. A Parade in my Honor? Having explored Pier 39, I wandered over to Chinatown before I had to start heading back. Unfortunately, I wasn’t able to explore Chinatown as long as I would have liked due to time constraints, but it did feel as though I’d stepped into a different country. The vibe of the air itself seemed to have changed. And, to my great surprise, just minutes after I’d arrived, a parade began. 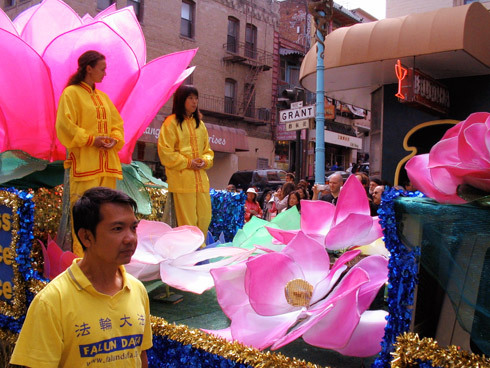 Dozens of Chinese drummers marched through Chinatown and a huge float with giant pink lotuses came down the street. See for yourself! And the celebration didn’t end there. On my way back to the BART station (which is a good local train system), I noticed another celebration going on as I passed San Francisco’s Union Square. Celebratory music was playing, ribbons were in the air, and people were even breakdancing. It seemed like quite a party, and the confetti-level was pretty intense. From researching later, I discovered that I’d actually passed by the 17th annual Korean Day Festival; and I gotta say, those Koreans sure know how to mash play on a sweet jambox. So that was my first taste of San Francisco in years, and it was just a tiny fraction of what was to come. I would return the following weeks and explore the incredible yet little-known Sutro Baths, Lombard Street, Coit Tower, and innumerable other spectacular sights which I’m very much looking forward to sharing with you in the coming months. I hope you enjoyed this overview of my first day exploring San Francisco. As always, Marco the Spacefarer followed me and appears in each of the 27 photos in the photo gallery that accompanies this article. Can you find him in all 27? 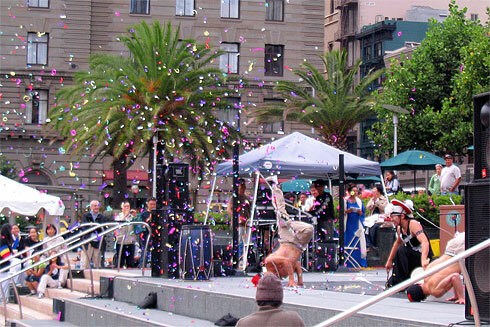 All photos from this event are in the Wandering San Francisco & Chinatown gallery. This Human Chair Trick is great – WOW! so funny! Yum! thanks for the taste of San Francisco! waiting for more! 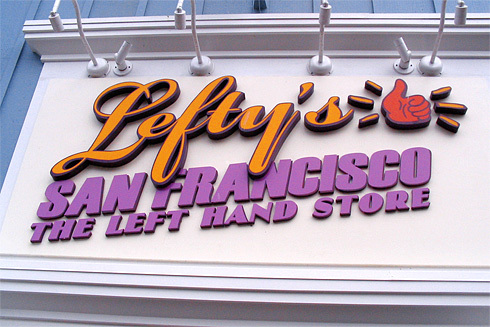 If I ever get to San Francisco, the first place I’m going is to the left-handed store! What an action-packed day, with a parade in your honor, no less. ;p I get the feeling you have fun no matter where you go. As a left-hander, I got a kick out of the left-handed pencils. Sheesh – where have those been all my life? 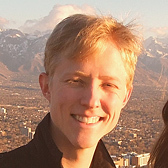 Thanks for joining in this week’s Traveler’s Show & Tell over at the blog Mental Mosaic: Even home is a travel destination. Hope to see you there again soon! When I saw this blog i just laugh, really a very initiative idea for left handed people. I am a left handed girl and got a difficulty using right handed desk or eating beside a right handed person.